Well, few weeks ago I had to move out from the house and living with my family. I am hurting right now coz he will not give half of the house. I am a sensible person and not greedy but I deserve what is legally entitled to me. Yes, I am bitter, upset and livid with the situation. I would like to know if anyone can share effective misfortune/get even/treat you right spells to inflict on my ex. I am waiting for my order (cut and clear, court house- ordered on April). Well, before you can get even, you have to get your court situation straightened out. That would be a honey jar on the court where your divorce is filed. I do not know what state you are in, because each state has different laws concerning divorce. My first order of operations would be to get a good divorce attorney to fight for you and work on the judge who will be handling your divorce. I have a court day coming up at the end of the month. I received my honey jar and on Sunday I burned one Candle. Monday morning I lite another candle before going to work , it took 1:15min to burn out. Can I burn it in two sections, morning and evening, so I can get to work on time? should I light another candle and have place on the altar ? in addition to the court case (brown) candle I m burning MWF ? You can carry some Five Finger Grass in your pocket along with Little John to Chew, when you go to court or talk to anyone involved in the case. Five Finger grass is to have all favors you ask granted to you, and Little John to Chew is a root great for court cases. 1) What day should i undertake to burn candles for a court case? Should I do this work on Sundays, Tuesdays and Thursdays because this is a court case conjure and not another genre? 2) I have various curios, herbs, appropriate roots, LM oils, incense, etc. In terms of bodily concerns - I have my own hair of course. I also have an item of clothing from a person on the opposing side - the man I am suing (I am suing him and his employer). I was a bit concerned about adding that piece of clothing in case the spell has the effect of sweetening the judges to this person! Is my own hair enough alongside the other items mentioned. 3) Am i missing anything relevant do you think? Should I do something with this item of clothing, aside from resist the urge to rip it into a thousand pieces and sprinkle it with goofer dust !! 1) I would personally work that Court Case jar with dressed candles once daily. If you can pray over it three times a day, so much the better. 2) Don't put the opposing side in the honey jar!! You're correct in that it will sweeten the judge to them. If anything, you should put the opposing side into a vinegar jar filled with peppers and poppy seeds with the judge so that he will be soured to their position - tear that piece of clothing up and then you can use it for several different works if you need to. Devi Spring wrote: 1) I would personally work that Court Case jar with dressed candles once daily. If you can pray over it three times a day, so much the better. Great Devi - Thanks so much. Especially with respect to the item of clothing I have of his and what to do with it! The thing is that the court case - my appeal - may not be heard for a couple of months... maybe even six months.. Do I do this every pray over it every day for six months if the appeal take that long - I'm sure the honey jar will be a total mess after about a month - smile! It seems that the common approach for honey jars in court cases is to put the judge and defense attorney into the jar to sweeten the judge to the defendant, and then to put the judge and prosecutor into a honey jar to sour the judge to the prosecution. But if someone wanted the prosecutor to offer a better plea deal during pre trial in the hopes of avoiding full trial, would it work to have a separate honey jar with the prosecution and defendent/defense attorney? Yes, it would because you are sweetening the relationship. Certain prosecutors are more likely or less likely to make deals depending on the crime, circumstance and politics. The defense attorney knows what he/she is up against. A very nice, wise defense attorney, whom I have lost contact with, and liked very much as a person, once said-- "stop throwing on your lawyer!" (who is defending you). When I work a court case honey jar in almost all situations I put the judge, jury (if there is one) *both* attorneys-first and second chair if the case has both, and neutral witnesses in the honey jar for my clients--there are cases that are exceptions but typically that is how I roll and it works pretty well! Sound advice ladies and I like that special saying Miss Tammie Lee. Good stuff. So second chair would be the defense attorneys assistant attorney? sometimes there isn't a second chair...verify this position. Sometimes the defense has more than one attorney. I would just simply say all the attorneys involved in the case just to be on the safe side. You use the little paper to write your petition on, then put your herbs from the packet into the center of the paper. Fold it towards you, stating your petition, then turn it 90 degrees to the right (as in, towards you), state your petition again, then fold it again. Keep turning and folding till you can't fold anymore; you now have a small packet. Take three tastes of the honey and state your petition again, then push the packet down into the honey. Close the lid, put the candle holder on top. Dress your candle with the Court Case oil, put it in the holder and light it. Do the candle daily until you see results, then move to doing it three times a week. 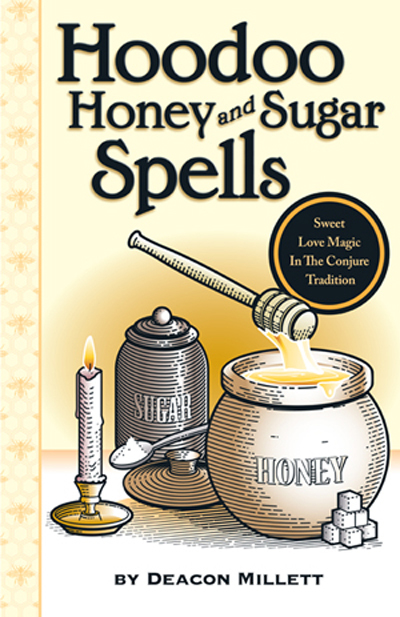 I am not sure where to post this, but I have questions in regards to a Court Case Honey Jar Spell. I started a CCHJS last M, W, F. I need some clarity so this work is effective. The moon phase is now in waning, so do I stop this work in the evening or while the moon is in this phase? I am doing this work for a relatives admininstrative hearing and success would be nice and a relief. Should I move the time to morning until the moon phases is back to waxing? Or just keep with the upward/downward flow of the clock hands during waning phase (just learned about what to do with downward). I ask this because, I have never worked in the waning phase at all. Also, I read the threads on planetary, days of week, etc. Can someone state what works for real, lol! I only seen one day mentioned to do court case work Wednesday. What are some other days to consider? Lastly, I had to get a jar started quick due to hearing date. So please feel free to comment on the ingredients of my starter jar, and then the ingredients for this jar: High John Conqueror, Sumac Berries, and Orange Peel (forgot Rosebuds) candle is dressed with LM court case oil (love the smell) and honey with all the targets all wrapped up . How could I use a Honey Jar for my Daughter Court Case which will start soon. rasheedrk123 wrote: How could I use a Honey Jar for my Daughter Court Case which will start soon. Order the Court Case Honey Jar. Instructions are included. 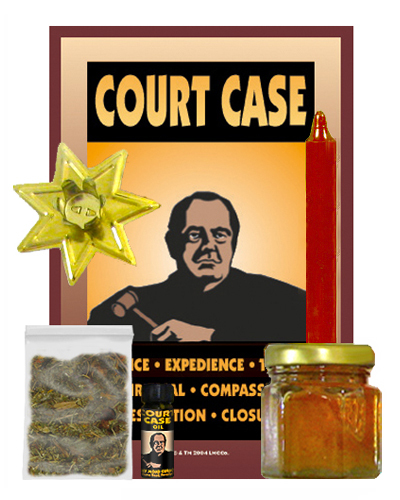 A couple of questions concerning the LM Court Case Honey Jar spell kit. 1) The defendant IS included in the honey jar, correct? Picture/personal concerns, etc. 2) What is the best way to write a petition paper to include a very specific outcome? There are a few outcomes to my case, that are far more desirable than other potential outcomes. I would like to sway the prosecution and judge to go for some options over the less favorable ones. Would I simply include these options in my prayers, and not the petition paper, both? I'm always unsure of this as I'm not really able to put a lot of words around the petition paper circle. Can anyone give suggestions to how you handle this situation? My son was abducted on July 1st against my knowledge. He was abducted to the UK, where his biological father lives. He was taken on a British passport - he could be anywhere at this point. There was a court order, not to my knowledge, that he could take him to the UK. I never received a notice of a court date, so it was entered as default. I was never served, never had a certified letter - nothing. I did not know. He has a PRA over in the UK and I do not believe his intent is to ever return my child. I have a court date on 8/8/2013 to vacate this unknown order. It was signed on 6/22/2013, just as soon as I could find out about it and retain an attorney. I have a honey jar for court cases, but it only came with one brown candle. I ordered this years ago when he tried it the first time. My question would be: I have the honey jar and herbs, but no more brown candles. I have every colour known except for brown. Is there another colour candle I can light to sweeten the judge to vacate the previous motion so that I may sweeten the judge to me to vacate the default judgment so that I may start the Hague proceedings to return my child to the only home he has ever known? Kindly advise for the return of my precious 7 year old child. White candles can substitute for any other color. And brown candles are cheap -- and will ship at once, as we hae several cases in stock. Thank you! I will order at once! I've been working an honey jar for a judge in regards to a court matter. I feel very confident about the work. In my case, the judge will be making his decision via a teleconference with my attorney and the opposing side. I will not be attending. Is there anything else that I could do in this matter to have the judge favor me in such short notice, considering I wouldn't be in attendance? He makes his decision next week. Have you browsed this page at all? Good Luck in court. We'll be praying for you too. I've already looked at those links. I was just wondering was there anymore that I could do since I will not be apart of the phone conference, I will not have to go to court. CHew Little John (Galangal Root) before speaking. It works BEAUTIFULLY!!! I understand all that you have said. My situation is unique, I will not be attending this telephone conference; therefore I will not be even speaking. My lawyer will be contacting me after the phone conference. Was just wondering, since I wouldn't be present was there anything I could do from a distance? Just browse through them and find what works for you. Other than all the suggestions on the court case page, I am out of ideas. Sorry. I hope that you are successful with you case. I did a honey court case jar. Think I'm seeing movement....I've been burning brown candles for the longest, but a couple of weeks ago I went to white because the store I brought them from didn't have anymore brown in stock; guess I brought them all . I notice the other day after working the jar, the lid of the jar no longer had the wax built up like before, its totally clean!! Can this be a sign of success? It's a good sign but not guaranteeing success. I would just like to let you know I used galangal ( Court case root ) yesterday as a loved one was accused of something they didnt do. The charge was serious and looked like the case could have gone either way. I sat in the gallery chewing court case root and asked (prayed) for help .Throughout the case I chewed small pieces of the root and focused on the thought "aquitted of all charges" .I took very small pieces of the root from my mouth and flicked them on the floor under me , I did this more at times when prosecution witnesses were lying about the case . I felt that the judge who had been described as pro prosecution ,was instantly sympathetic to our case and he told the prosecuting lawyer off a few times and was quite stern with him (poor fellow). The root worked brilliantly and the outcome was ......... aquitted of all charges . Cant tell you how happy i am with the outcome thank you lucky mojo. Congrats Jeff and well done!! For several years I have seen and worked with a rootworker in NC. He is no longer practicing but in my divorce court case he gave me a jar speel to do and it worked amazing well. I can only tell you that he gave me a package of herbs wrapped up in foil and I had to write the name of the parties that might appear or witnesses on a paper nine times each in red ink, then I had to place the herbs in the paper and fold it away from me and tie it with red thread nine time and fill the jar with urine. Then the night before court prior to sun up I had to take the jar and throw it in the river. Can anyone direct me on wht kind of herbs may have been contained in the package I know they cant be exact but if someone could advise me on what will work I would appreciate it. Has anyone ever heard of or are familiar with this case or spell. Thanks in advance. I have merged your post to the appropriate subforum where you can get some ideas. So...I have the actual spell kit, with the mojo & in the directions it says to chew the Little John root before you go into court, but there is no Little John root? Should I contact the shop about this? Little John and Galangal are the same thing (could they have written Galangal on the package instead?. If not, call them). Oh my God. What a horrible thing to happen to you. I am so very sorry. This just looks like one big nightmare for you. And so very sad. I'm wishing you the very best and pray that you get this child back to you. I would have a honey jar for each person. Add their name and your name with your petition to rule in your favor. It's a tough situation and having experience with the DSS it's always very confusing. I don't know the laws where you are, but there's a clear conflict between trying to keep siblings together (although they weren't raised together previously) and providing stability and continuity for a child and bonding with providers. As far as your work on this, if you ever need immediate or emergency work, a simple white candle can provide focus for your intents. I've used everything from (literally) white emergency candles from the supermarket to tea lights or even birthday candles! Any one of these could be used to dress a plain candle, pray the 23rd Psalm and at least you have some work as a stop gap measure until you have a chance to do more complex work. A quick trick you could also do in this situation is to pray over a bit of plain sugar, and put it in your pocket, then sprinkle discreetly where the judge or DSS representative might walk or just quickly under the table where you all are meeting. Wishing you the best of luck with this situation. I think this would better fit under the sweet or honey jar section. You are not trying to be invisible rather seen and approved! But you can write the agency name crossed by yours then with the circle that says the petition. Or Agent dealing with case number ( assuming you got a number). But yes it can be done that way as well. So how would I do this? What do I out in the jar? Candle color? Oil? Herbs? I have merged these posts over to the appropriate thread. Please read the posts for answers. Hello, I am getting ready to apply for disability and I would like some suggestions on what type of spell work to be doing? I'll have the Dr involved a lawyer and a judge for the state of Alabama plus tons of paperwork to anoint. I have some time to get all this together so it is not urgent but I want to go ahead and start the work in advance to insure I get the most money I can and a smooth journey to the finish line. Thanks for any help! I would certainly use the Crown of Success Line of Products, Court Case Products and Money Drawing. You can mix all these oils and powders together. You will also need purple, brown, and green candles. Thank You Ms Melanie! I have all the supplies you spoke of So I will begin immediately. Shall I carve my desire into each candle anoint it with the specific oil, purple/crown of success, brown/court case and green money drawing, or should I mix all oil together and anoint each candle with the mix? Also should I place a name paper/request/prayer under the candle while burning? Anoint them separately since you have the appropriate candle colors to coincide with the oils. And, yes, do a separate petition paper for each. For the money candle, ask for money, etc. In other words, write the petition to coincide with the candle and the oil.